« Mike Montgomery gave up 3 homers tonight: Problem? 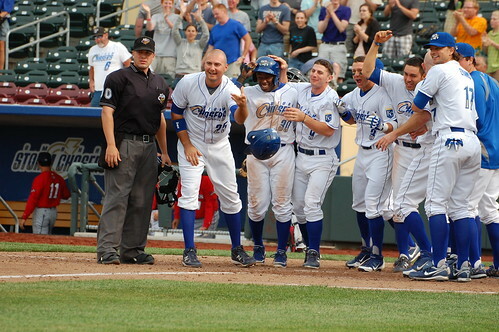 The Chasers await Cody Clark at home plate after Clark hit a homer to right field for the club's 13th consecutive home win. Jason Bourgeois (#30, wearing a helmet) also scored on the homer. 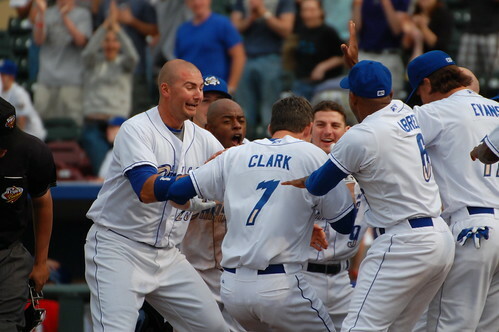 Clark getting mobbed at the plate. Click the photo to go to Flickr and see more celebration pictures.